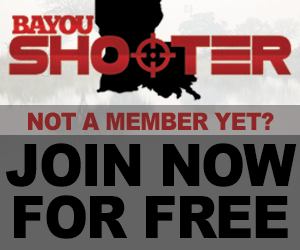 I'm looking to take my first tactical pistol course, but I'm having trouble finding options in the southern part of Louisiana. The 2 big names I've seen the most are VATA and Advantage Group. VATA doesn't train civilians anymore and Advantage group has only one session of their gunfighter courses listed and that's this weekend. I can't really tell my wife I'm leaving her with our 7 day old daughter for the weekend at the last minute. I'm fairly comfortable with my foundation (safety, accuracy, etc) as a starting point, and I'm ready to take a serious class. Advantage Group will run more classes than that, they just have to gather enough interest to add to the schedule. Don’t just look at online schedules, call and speak to any trainer in your area. Let them know what you are looking for. Private instruction is more expensive but will move at your pace rather than the pace of the slowest person in the class. Do you have a ccw ? If not I’d definitely mention that to the instructors when you talk to them. If you are interested they most likely add the necessary instruction to a private class and kill two birds with one proverbial stone. Last edited by 3fifty7; February 22nd, 2019 at 04:19 PM. I couldn't make the advantage group class this weekend either. I'm in for the next Saturday they offer it. Anyone else? Maybe we can convince them to run another sooner if we have enough people. Check Phobos Solutions as well. They train at the NOLATAC range right next to Nola Motorsports. Advantage Group with Nate Stokes and Chris Schiff is awesome, I've taken many courses with them and I'm never disappointed! I am looking forward to attending every one of their events now that I know what to expect. Last edited by dwhess504; April 14th, 2019 at 06:30 PM. Anything For Sale is from my Private Collection and the funds are used to further enhance it.